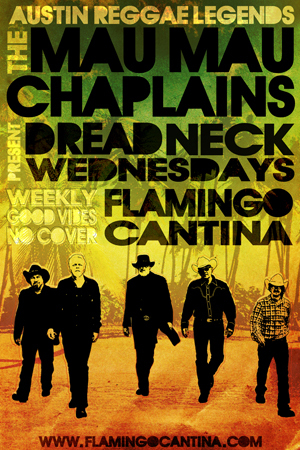 Every Wednesday, Mau Mau Chaplains hold services for the massive, laying down some of the best live reggae you’re eva gonna see. These guys have been playing together for years and know a thing or two about about putting on a show to remember. …music to feed the soul and Winston’s Caribbean food to fill the belly. NEVER a cover and ALWAYS good vibes.